What Are The Pitfalls To Look Out For When Selecting A Mattress? Mattresses come in a variety of price ranges, brands, and kinds which makes bargain hunting confusing and nearly impossible. Misleading marketing and sales tactics confuse and frustrate unknowing shoppers just looking for the best deal. Our hope is to share with you some of the most Common Pitfalls Of Buying A Mattress or in other words the most used marketing gimmicks used to pedal mattresses sets out the door. Federal Trade Commission (FTC) defines Puffery. Mattress Puffery, Sometimes you know when you’re being a fed a line of bull and sometimes you don’t and in the case of the mattress industry their methods of selling and advertising very well may be one of the best examples of Puffery. Example: While I feel that I sell the best products in the business how do you know that I do? 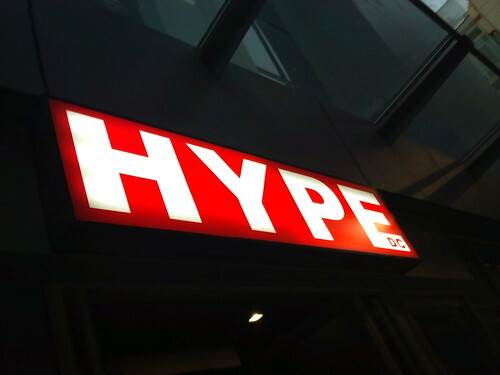 If I were to exaggerate or promote a subjective view “hype” of my product rather than an objective one concerning the features and the benefits of my product that is puff. Protect yourself against mattress puffery and educate yourself about mattress construction, pricing, and tactics. The Mattress Name Game one of the most deceptive forms of marketing I have seen. Same brand, same or similar components, different pricing. Manufacturers make subtle changes in the fabric color and name with a tweak difference here and slight change there and retailer have a mattress model they can call their own and since no one else carries this exact model they don’t have to price match. While this is a very debatable topic it is my feeling that if you can get two sides on a mattress and comparable inner components for nearly or exactly the same price which is why we suggest buying a two sided mattress . 1-sided versions are cunningly described as the newest technology that can reduce the need for constant or hard to do customer care by means of improved materials, which in my humble opinion is a farce. These one sided can’t flip mattresses use less steel and more foam and padding that compresses and break down. Not turning and flipping your mattress is as silly as not rotating the tires on your car. such as seat edge supports, very thin layers of memory foam or latex. Some add cashmere, silk, and wool with a content level that is so low it’s barely measurable. The more coils you have must be better right? Kinds of coils and their unique patented designs. These puffed up features make the product look good and worth the inflated price that retailers ask for them. Wait I’ll add a few others; extra firm, super firm, cushion firm, etc. While there seems to be a standard way to use them in puffing up or describing a mattress’ feel there is no standard definition of measurement that would allow them to be easily compared to one another being used by the industry. Since mattress firmness is subjective let the buyer beware. Just turn on your TV, open up your newspaper, direct mailer, or visit website mattress sales you will find they are as common as the nose on our faces. While big savings as much as 50, 60, even 70 percent off are common, tactics used to create excitement such as final days, 3 days only, or sale ends Saturday are used to create the immediate urgency to buy now to get the deal. Be leery of special “sales,” that only happen once a year or certain holidays. The truth is these stores sell mattresses all year; they have to pay mortgage, rent, utilities, and salaries why can’t they do it all the time? They can and they will approach them with a competitor’s better price and watch the cost go down.Also be careful of advertisements featuring low almost too good to be true pricing. The old saying still applies you get what you pay for a low-end poorly constructed bed that will be uncomfortable from day one. So forget the Puffery and Hype. Most importantly remember our mattress shopping tips outlined above. Print them out, remember them, they are some of the most basic and important things you need to know in order to be an educated and informed shopper.